Prior Scientific has announced that it will be exhibiting its latest motorised stages, focus motors, sample loading systems and other equipment for precision microscopy at the forthcoming Focus on Microscopy & Microscience and Microscopy Congress shows, which will be held in Bordeaux and Manchester, respectively. Knowledgeable specialists from Prior Scientific will be available on FoM stand 46 and MMC stand 629 to discuss your application or answer any questions about their extensive range of precision products for microscopy. 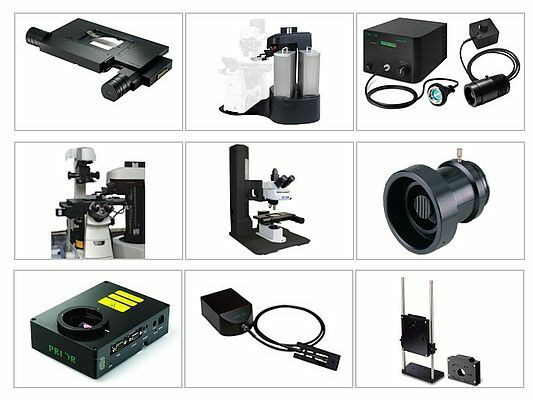 Microscope users who require solutions for specialised automated imaging or analysis systems are particularly encouraged to visit Prior Scientific at these shows. In addition, drawing upon over 95-years experience of designing optimised solutions for precision microscopy, Prior Scientific has established itself as a world leading developer of custom and OEM solutions for specific applications. Considerable investment in knowledgeable staff and modern production facilities allows Prior Scientific to handle custom or OEM contracts across the entire product development life cycle, from research and development through to full scale production. Recent examples of Prior Scientific’s custom and OEM solutions include motorised XY stages, focusing motors, electrophysiology platforms, automatic slide and microplate loaders, as well as illumination solutions.